This paper presents an experimental investigation on the effect of alternate wetting and drying on recycled aggregate concrete with different supplementary cementitious materials (SCM). The supplementary cementitious materials considered in the present study include fly ash, silica fume and ground granulated blast furnace slag used as a partial replacement of cement. The compressive strength of concrete subjected to 45 cycles of alternate wetting and drying is determined for the various%age replacements of natural coarse aggregates by recycled aggregates.Test results indicate that the durability aspects of recycled aggregate concrete as evaluated by alternate wetting and drying test can be improved through the use of SCM admixtures. The utilization of the recycled aggregates created from processing construction and demolition waste in new construction has become more important over the last two decades. There are many factors contributing to this, from the non-availability of new material and the damage caused by the quarrying of natural aggregate and the increased disposal costs of waste materials. Construction and demolition waste are generated mainly from demolished concrete and masonry structures. Due to advances in manufacturing of crushing machinery and recycling processes, it became possible to scale or crush down large masses of construction and demolition waste into smaller particles to produce recycled aggregate at acceptable cost. Recycling of concrete waste is necessary from the viewpoint of environmental preservation and effective utilisation of resources. The utilization of recycled concrete aggregates is particularly very promising as 60-80% of concrete is made of aggregates . A review of several early studies indicated that, compared with concrete mixtures containing natural aggregate, the mixture containing recycled-concrete aggregate generally gave at least two-thirds of the compressive strength and modulus of elasticity, and show satisfactory workability and durability . In general, the effects of using recycled-concrete aggregate instead of natural aggregate are (a) reduced compressive strength (b) reduced modulus of elasticity (c) increased drying shrinkage and creep and (d) increased damping capacity. The reduction in strength ranges between 12 to 25%, while, the reduction in modulus of elasticity varies from 10 to 33%. Creep of recycled aggregate concrete is found to be 30 to 60% greater and drying shrinkage 20 to 50% greater than concrete made with natural aggregates [7 & 1]. Recycled aggregates are composed of the original aggregates and the adhered mortar. It is well known that physical properties of recycled aggregates are very much dependent on the type and quality of the adhered mortar. The adhered mortar is a porous material; its porosity depends upon the water-cement ratio of the recycled concrete employed . As the adhered mortar is often prone to attract more water than the original aggregate, the absorption capacity of recycled aggregates is known to be greater than that of natural aggregate; this is believed to be one of the most significant factors affecting the recycled aggregate concrete. Although there is no clear-cut relation between the strength of concrete and the water absorption of aggregate used, the pores at the surface of the particle affect the bond between the aggregate and the cement paste, and may thus exert some influence on the strength of concrete . 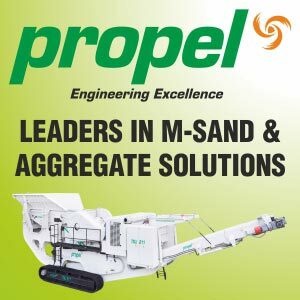 When the aggregate to be used is limiting the strength of concrete, the overall performance is usually affected; in this case, the obvious solution is to improve the performance of the aggregate and other concrete components. The factors that contribute to increased strength and performance include use of supplementary cementitious materials and chemical admixtures . Durability of concrete is defined as its ability to resist weathering action, chemical attack, abrasion, or any other process of deterioration. Water, which is the primary agent of both creation and destruction of many natural materials, happens to be central to most durability problems in concrete. In porous solids, water is known to be the cause of many types of physical processes of degradation. The movement of the various fluids through concrete takes place not only by flow through the porous system but also by diffusion and sorption . An exposure condition which cannot be avoided, is the exposure of mature concrete to alternating wetting and drying – a temperature cycle frequently met with in nature. Alternating wetting and drying represents much more severe conditions because a build-up of salts within the concrete can occur in consequence of the ingress of water, followed by evaporation of pure water, with the salts left behind . For concrete produced with recycled aggregates, the volume of pore space in concrete, as distinct from the ease with which a fluid can penetrate it, is measured by absorption, thus testing of concrete subjected to alternating wetting and drying cycles serves as a measure of durability index. Main objective of this experimentation is to study the effect of alternate wetting and drying on concrete produced by replacing natural coarse aggregates by recycled aggregates and on recycled aggregate concrete with different supplementary cementitious materials. The grade of concrete adopted is M20, as it is the widely used structural concrete. Three supplementary cementitious materials (SCM) considered for the study are fly ash (FA), ground granulated blast furnace slag (GGBS) and silica fume (SF). Each of the mineral admixture is used independently in the recycled aggregate concrete. The different%age replacement of natural coarse aggregates by recycled aggregates considered are 0%, 10%, 20%, 30%, 40%, 50%, 60%, 70%, 80%, 90% and 100%. The compressive strength of concrete subjected to 45 cycles of alternate wetting and drying is determined.